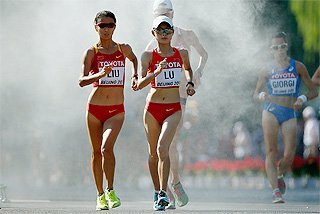 The world order has shifted somewhat since the sport’s top stars were last in action on the IAAF Diamond League circuit. 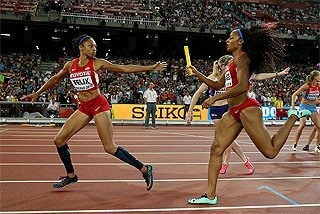 In no discipline has that shift been more pronounced than the women’s 200m, the event which promises to be the centrepiece of the last qualification fixture in Birmingham on Saturday (18) before the two finals in Zurich (30) and Brussels (31). Back on 22 July, before the break for the various area championships, Nigeria’s Blessing Okagbare-Ighoteguonor remained top of the world list with 22.04 ahead of US champion Jenna Prandini (22.16) and Gabrielle Thomas (22.19). Dina Asher-Smith, with 22.25, was squeezed down to fourth behind Olympic 400m bronze medallist Shericka Jackson. Three weeks on, the Briton stands clear at the top of the world list as she prepares to return to action on home ground. In following her British record-breaking and world-lead-equalling 10.85 over 100m at the European Championships in Berlin with a tour de force of a 200m in 21.89, Asher-Smith has blasted her way into realms of the global elite. At 22, she has become the youngest ever member of the sub 10.90/21.90 club. Now, as she looks towards the IAAF World Championships Doha 2019 and the 2020 Olympics in Tokyo, she needs to back up the breakthrough times with results against the world’s best. And they don’t come a great deal better than the field assembled for Saturday’s half-lap spectacle at the Alexander Stadium. The slowest member of the eight women is Thomas with her 22.19 PB. The fastest, at 21.63, is Dafne Schippers, though the two-time world champion was in a different time zone to Asher-Smith as a distant runner-up in Berlin last Saturday in 22.14, a season’s best. The real benchmark for Asher-Smith in her first test since her hat-trick of European golds (she also anchored Britain to victory in the 4x100m) will be how she shapes up against Shaunae Miller-Uibo. In terms of physical stature, the 6ft 1in (1.85m) Bahamian stands head and shoulders above the 5ft 5in (1.64m) Briton. The Olympic 400m champion is also unbeaten in 2018. At the Commonwealth Games in April she was a class apart from Asher-Smith in the 200m, winning in 22.09, with Jackson second in 22.18 and the Briton third in 22.29. The 24-year-old lowered her season’s best to 22.06 at the IAAF Diamond League meeting in Shanghai in May. Intriguingly, Miller-Uibo’s lifetime best – the 21.88 that won her the IAAF Diamond League final in Zurich last year – places her one spot and 0.01 ahead of Asher-Smith on the world all-time list. World silver medallist Marie-Josee Ta Lou lines up in Birmingham, where she took world indoor 60m silver in March, fresh from a 100m-200m double at the African Championships. Jackson and Prandini, winners of the 200m and 100m respectively in Toronto, are also in the loaded line-up. The men’s 100m promises to be no less intriguing, with Christian Coleman attempting his second comeback of a season punctuated by hamstring trouble – against his burgeoning US compatriot Noah Lyles, who, like Asher-Smith on the women’s side, stands joint top of the men’s 100m world list (with 9.88) and top at 200m (19.65). Having returned after a six-week lay-off with victory in a 9.98 season’s best at the IAAF Diamond League meeting in Rabat, Coleman suffered a tweak in warm-up for the heats at the IAAF Diamond League meeting in London eight days later. The world indoor 60m champion and world 100m silver medallist still needs points to book his place in the IAAF Diamond League final in Brussels. Lyles has been a class apart at 200m this season but, having placed third behind Coleman and fellow world leader Ronnie Baker in Rabat, the 21-year-old will feel he has something to prove over the shorter distance in what will be his first race on British soil. There will be strong home interest in the event, with Zharnel Hughes and Reece Prescod – one and two in the European Championships final – plus European 200m silver medallist Nethaneel Mitchell-Blake and 2017 IAAF Diamond League champion CJ Ujah all lining up for the heats. The field also includes the newly-crowned African and NCAC champions – South Africa’s Akani Simbine and Jamaican Tyquendo Tracey – as well as NACAC bronze medallist Cameron Burrell, two-time World Championships finalist Michael Rodgers of the USA, and Jamaica’s 2011 world champion Yohan Blake. Six days after winning her first European title at 5000m, the in-form Sifan Hassan steps back down in distance to the 1500m. In Hassan’s past three races, the flying Dutchwoman has clocked a European 5000m record in Rabat (14:22.34), the third fastest mile of all time in London (4:14.71, passing 1500m in 3:57.41) and won the European 5000m title in championship record time (14:46.12). 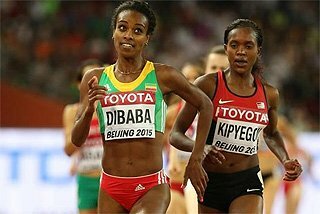 The field also includes Ethiopia’s 2016 world indoor bronze medallist Gudaf Tsegay, a 3:57.64 performer, newly crowned African champion Winny Chebet of Kenya and the silver and bronze medallists from last Sunday’s European 1500m final: Poland’s Sofia Ennaoui and Britain’s Laura Weightman. Caster Semenya had been set to compete but had to withdraw due to illness. In London three weeks ago, Emmanuel Korir clocked the fastest 800m time for six years, rising to sixth on the world all-time list with a stunning 1:42.05. The Kenyan was beaten by Nijel Amos at the African Championships but will have plenty of competition in Birmingham with Kenyan champion Jonathan Kitilit, Canada’s NCAC champion Brandon McBride, Poland’s European champion Adam Kszczot and Olympic bronze medallist Clayton Murphy of the USA all in the mix. Out of commission since pulling up injured in the Prefontaine Classic 200m on 26 May, Commonwealth 400m champion Isaac Makwala returns to action at the longer distance. In what could be something of a preview to the IAAF Continental Cup Ostrava 2018, the Botswanan faces the newly crowned champions of Europe (Briton and local boy Matthew Hudson-Smith) and Africa (compatriot Baboloki Thebe) plus Rome winner Fred Kerley of the USA, European bronze medallist Jonathan Borlee of Belgium and world and Olympic triple jump champion Christian Taylor. 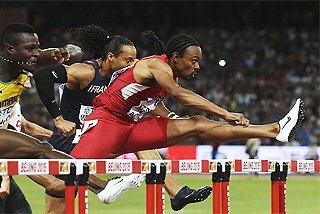 A week after his surprise European 110m hurdles victory over Sergey Shubenkov, Pascal Martinot-Lagarde will be out to win his first IAAF Diamond League race for three years. The Frenchman will be up against Commonwealth champion Ronald Levy of Jamaica, who will be seeking to complete a hat-trick of IAAF Diamond League victories after successes in Paris and London, Spain’s European bronze medallist Orlando Ortega and Britain’s world indoor champion Andy Pozzi. Conseslus Kipruto and Soufiane El Bakkali continue their rivalry in the 3000m steeplechase. The Kenyan Kipruto got the better of the Moroccan El Bakkali at last year’s World Championships but El Bakkali prevailed in Monaco recently in a world-leading PB of 7:58.15. 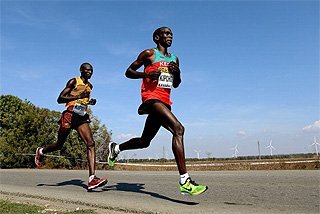 Kipruto was only third that night but at the African Championships in Asaba last week the Olympic champion relegated El Bakkali to silver. 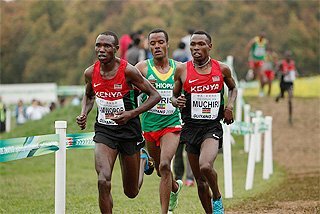 The field includes Kipruto’s compatriot Benjamin Kigen and Ethiopia’s Chala Beyo, third and fourth on the world list. The loaded women’s pole vault field promises to produce as enthralling a contest as the epic battle at the IAAF World Indoor Championships across town at the Birmingham Arena in March. That three-and-a-quarter-hour vaulting marathon ended with Sandi Morris finally casting aside her ‘Silver Sandi’ tag with a 4.95m championship record that clinched her first major title and Katerina Stefanidi losing her Greek Midas touch in the unfamiliar bridesmaid’s role. Five months on, both are back in Birmingham, with Morris on top of the world list courtesy of a 4.95m clearance in her home town of Greenville and Stefanidi once again on the gold standard, having retained her European crown with a season’s best of 4.85m. 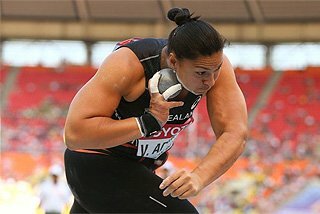 Also in town are NACAC champion Katie Nagoette, Cuba’s 2015 world champion Yarisley Silva, New Zealand’s Olympic bronze medallist Eliza McCartney and the silver and bronze medallists from the European Championships: Stefanidi’s Greek teammate Nikoleta Kyriakopoulou and Briton Holly Bradshaw. In the non-scoring men’s long jump, Britain’s Greg Rutherford contests his final competition in a conventional track and field arena. 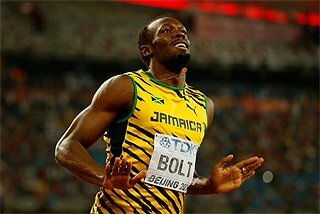 The injury-plagued former world, Olympic, European and Commonwealth champion still has the street event of the Great North City Games on the Newcastle-Gateshead Quayside on 8 September but Saturday will be the 31-year-old Briton’s farewell IAAF Diamond League meeting. 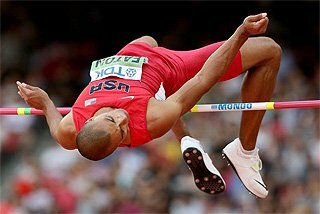 In London last month Rutherford managed one legal jump of 7.55m and he will be hoping to sign off on a higher note in a field that includes South Africa’s world champion Luvo Manyonga and Greece’s European champion Miltiadis Tentoglou. Sadly, the teenage Cuban world indoor champion and world leader Juan Miguel Echevarria has been obliged to delay his comeback after injury. The men’s javelin promises to be a re-run of the gripping European Championships final. Olympic champion Thomas Rohler, who produced an 89.47m throw to end a run of six defeats, faces the three men who finished behind him in Berlin: German teammate Andreas Hoffman, Estonian Magnus Kirt and Pole Marcin Krukowski. World indoor high jump bronze medallist Mateusz Przybylko was another German golden boy in Berlin, clearing a PB 2.35m. He faces new NACAC champion Jeron Robinson and 2.35m jumper Bryan McBride, both of the US and Italy’s 2016 world indoor champion Gianmarco Tamberi. Expect another ding-dong spectacle in the women’s 400m hurdles, with USA’s Shamier Little and Jamaica’s Janieve Russell renewing an acquaintance that had them neck for neck all the way down the home straight in Lausanne and London. Little finished 0.05 ahead in Lausanne and 0.01 in London but was a more decisive winner at last week’s NCAC Championships in Toronto, clocking a championship record 53.32 – the second-fastest time in the world this year – ahead of Russell’s 53.81 in second. Bronze medallist Georganne Moline of the US lines up in Birmingham, as does Switzerland’s European champion Lea Sprunger and European bronze medallist Meghan Beesley of Great Britain. The women’s long jump features four of top five women on the 2018 world list: Britain’s Lorraine Ugen (who heads the pile with 7.05m), Germany’s Malaika Mihambo (6.99m) Canada’s Christabel Nettey (6.92m) and Britain’s Shara Proctor (6.91m). 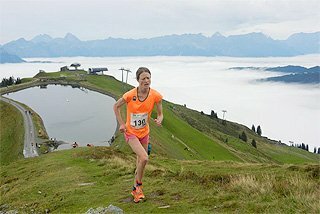 Ugen will be seeking to bounce back from the bitter disappointment of her ninth-place finish at the European Championships, where Mihambo took gold on home soil and Proctor claimed bronze. 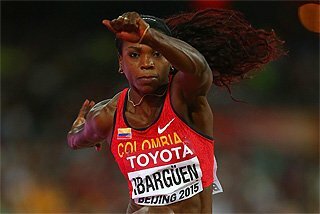 The field also includes NACAC champion Sha’keela Saunders of the US and Colombia’s Olympic triple jump champion Caterine Ibarguen. The non-scoring women’s 1000m features an attack on Kelly Holmes’ 21-year-old British record (2:32.55) by Laura Muir, a decisive winner of the European 1500m title in Berlin, while the contestants in the Emsley Carr Mile, another non-scoring middle distance event, will be seeking to add their names to a truly illustrious roll of honour. 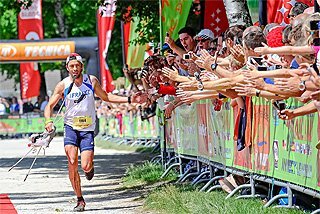 The race was first held in 1953 and has been won by 11 Olympic champions - Sebastian Coe, Steve Ovett, John Walker, Kip Keino and Haile Gebrselassie among them. Matthew Centrowitz might have become number 12 but the Olympic 1500m champion from the US has withdrawn from the start list. Instead, 35-year-old Nick Willis – who possesses Olympic silver and bronze at 1500m – has the chance to become the third New Zealand winner, following in the hallowed footsteps of Murray Halberg (1958) and John Walker (1987). Australia’s Ryan Gregson, runner up to Centrowitz over 1500m in London three weeks ago, and world and Olympic 5000m silver medallist Paul Chelimo of the USA are likely to be other leading contenders. Kenya’s Hellen Obiri, who clocked a 5000m world lead in Rabat (14:21.75), races over 3000m, fresh from a 5000m victory at the African Championships. The world champion faces two compatriots at the top of the 2018 world list, Caroline Kipkirui (8:29.05) and Agnes Tiprop (8:29.09) – plus Britain’s European 5000m silver medallist Eilish McColgan and European 10,000m gold and silver medallists Lonah Salpeter of Israel and Susan Krumins of the Netherlands. Germany’s Christina Schwanitz gets the chance to turn the tables on Paulina Guba, the Pole who denied her a third successive European shot put title on home ground in Berlin. Both have to contend with Olympic champion Michelle Carter and her US teammate Raven Saunders. The non-scoring 100m hurdles features the German silver and bronze medallists from Berlin, Pamela Dutkiewicz and Cindy Roleder.